If your betta is swimming awkwardly and you think it may be swim bladder disease then you’ve found the right article to help you treat it. Swim bladder disease in bettas is fairly common, but it’s quite uncommon for it to become fatal. In fact, in just a few days of treatment, you should be able to cure your betta. If you want to find out exactly how then keep reading! 1 What Is The Swim Bladder? 2 What Is Swim Bladder Disease? 3 What Are The Common Causes Of Swim Bladder Disease In Bettas? 10 What Are The Symptoms Of Swim Bladder Disease In Bettas? 20 Is Swim Bladder Disease Contagious? What Is The Swim Bladder? Your bettas swim bladder is the organ which allows him to control his buoyancy. Instead of constantly swimming to stay in place, the swim bladder does the work instead. Helping your betta save energy and swim easier. It is located behind all the other organs, so if any of them swell it can affect your betta. Swim bladder disease isn’t actually a disease. It’s a term used to describe any ailment whether it’s illness, damage or situation that causes your bettas swim bladder to stop working properly. So when treating swim bladder disease, you’re actually trying to treat symptoms of something else. What Are The Common Causes Of Swim Bladder Disease In Bettas? There are a number of different causes of swim bladder disease. The first thing you’re going to need to do is diagnose the right cause. If you don’t, you may end up doing more harm than good. In the vast majority of cases, swim bladder disease is caused by overfeeding. Bettas are particularly gutty fish and they will never stop eating, even when they’re full. This often makes them constipated which can have an effect on their swim bladder. Not only can this cause them to become constipated but it can also make fatty deposits build up in their bladder. As well as overfeeding, your bettas may be gulping too much air. Because bettas tend to eat from the surface they can also gulp down air which is going to affect their swim bladder. If you’re feeding your betta food which has too much air in it, it can cause constipation as well. This is most likely to occur in low-quality food, so you should always buy your betta high-quality food. I like Aqueon Betta Pellets. A less common cause of swim bladder disease is shock. If something drastic has happened in your tank the stress and shock could have an effect. The shock could be caused by a whole range of factors. Such as a sudden temperature change or light constantly changing. If you haven’t shocked your betta or you’re confident they haven’t been overfed then it could be parasites. Parasitic worms can infest your betta’s stomach and intestines. Which makes it a lot harder for your betta to swim. While parasitic worms aren’t normally fatal, in extreme cases this can happen and can result in swim bladder disease. Swim bladder disease can also be caused by bacterial infections. This along with parasites is likely due to poor water quality. If your betta is suffering from a bacterial infection then swim bladder disease will likely be a symptom along with many other symptoms. However, if a bacterial infection has gotten so bad that the swim bladder is being affected then euthanasia may have to become an option. If you notice swim bladder disease along with severe bloating and pineconing scales then you should start treating your betta for dropsy. However, at this point, the chance of survival is quite low. If your tank is below 78°F then this could be why your betta has swim bladder disease. When the water temperature in your tank drops below the ideal temperature it’s going to cause your bettas digestive system to slow down. When the digestive system slows down your betta is more likely to become constipated, as well as other organs swelling. Along with these causes, cysts in the kidneys and egg binding in female bettas can also be a cause of swim bladder disease. And if this is the case there’s not much you can do except wait and see what happens. What Are The Symptoms Of Swim Bladder Disease In Bettas? There are a variety of different systems you can expect to see in a betta suffering from swim bladder disease. However, not all of the symptoms may be exhibited at the same time. The symptoms you notice will be dependent on what is causing swim bladder disease to occur. Trouble swimming and buoyancy problems – You may notice your betta unable to move from the substrate in your tank or on the other hand he may only be able to float on the surface of the water. Lopsided swimming – as well as floating on the surface or sinking to the bottom it’s not uncommon to notice a betta with swim bladder disease swimming on his side or swimming lopsidedly. Struggling to maintain a normal position – This is a classic one. No matter how much your betta swims in a certain area, he will always begin dropping down or floating up. A distended belly or curved back – This is a tell-tale sign of constipation or overfeeding. However, if along with this symptom you also notice your betta’s scales are pineconing then he is suffering from dropsy (which can be fatal if left untreated). Affected appetite – Your betta may lose his appetite completely and not want to eat. Or he may have trouble eating if he’s stuck on the bottom or top of the tank. Lethargy – If you’ve ever eaten so much you don’t want to move then you know how your betta fills when it’s been overfed. Lethargy is a classic sign but beware, in some cases, it could occur because of an infection. Clamped Fins – One of the biggest tell-tale sign of any infection in your betta is clamped fins. When they’re stressed their fins stay close to their body. If you notice this, then treatment for overfeeding or constipation may not be effective. Shaking – If you notice your betta is shaking then that’s another clear sign that it’s got an infection and it’s not just being overfed. The type of treatment you’re going to need really depends on what’s causing swim bladder disease to occur. If you have a quarantine tank handy then in most cases it’s a good idea to move your betta into one, so you can treat him without worrying about medicating the other fish and plants in your tank as well. Luckily for you if your bettas swim bladder disease is caused by overfeeding then the chances of making a recovery are good as long as start treatment immediately. If you have other fish in your tank then move your betta to a quarantine tank. Now that your betta is in the tank you should fast him for 3 days. Don’t worry this may seem like a long time to you, but in the wild bettas often go days at a time without food. While you’re fasting your betta you should also slowly start raising the temperature in the tank up to 80°F. The increased heat is going to speed up the rate in which your betta digests food. After 3 days you should check to see if your betta is improving. Sometimes this in itself is enough to cure swim bladder disease but if not, don’t worry. If your betta still has the symptoms of swim bladder after 3 days begin feeding him cooked peas. With the peas make sure you don’t cook them long enough to be mushy otherwise they will fall apart before your betta even gets a chance to eat them. When feeding your betta cooked peas take the peel off first. Cooked peas are going to act almost like a laxative to get your bettas digestive system moving. If your betta is having trouble swimming to the pea and eating it then you can hold it in place for him. This can often happen in bettas with swim bladder disease, and if the food sinks to the bottom too quickly, you can reduce the depth of the tank by removing water from it. Keep feeding your fish just peas for about a week. Don’t feed him more than 2 peas a day. If after a week you don’t see improvement, then your betta may have something more serious than constipation. If you think that your betta is suffering from a parasite or bacterial infection, then the process is going to similar, however, instead of starving your betta, you should medicate him instead. Move your betta to a quarantine tank where you can medicate the water. Follow the instructions on the bottle and monitor your bettas progress daily. Parasitical and bacterial infections rarely cause swim bladder disease in bettas. However, if you do think this is the case, then the bad news is that normally the outcome for your betta looks bleak. If you there’s been a sudden temperature drop in your tank or if your bettas been injured then they may be in shock. If you think shock is causing swim bladder disease in your betta then there’s not a lot you can do for him. The best thing to do is to make sure the tank is the right temperature and turn off the lights. When the lights are off your betta will be more inclined to rest which will help him make a speedy recovery. Mix 1 tablespoon of Epsom salt with half a gallon of conditioned tap water in a clean container. Once the Epsom Salt has dissolved add half a gallon of your aquarium water into the container. Replace the water taken from your aquarium with conditioned tap water which is the same temperature as your aquarium. Leave your betta in the bath for 10-15 minutes. If this hasn’t cleared his constipation in that time, put him back in his tank. Continue monitoring your betta throughout the day to see if he’s excreted or he’s swimming better. If you notice your fish stop moving in the Epsom salt bath, or if he’s just laying in one spot then add him back to your aquarium immediately. Make sure you’re not overfeeding your betta. A bettas stomach is the same size as it’s eye so they don’t need as much food as you think. No matter how much you feed your betta he will always be hungry, so stick to 2-3 pellets a day or the recommended amount. Make sure you’re keeping your temperature constant – Temperature fluctuations can cause swim bladder disease and stress your betta out. If your heater breaks and you notice the temperature dropping rapidly then check out this article on the steps you can take to keep your tank warm. If your betta is getting into fights with any of the other fish in your tank then you’ll need to remove the culprits. This will help reduce the chance of injuries resulting in swim bladder disease. Remove any ornaments that can cause injury – If you have any ornaments or plastic plants with sharp edges then you should remove them from the tank. This will also decrease the chance of a lot of diseases and infections occurring. Whether or not swim bladder disease is going to be fatal depends on what the underlying cause behind it is. If your betta has swim bladder disease because of constipation or bloating then he’ll make a full recovery in no time. However, if it’s due to something more serious or if you think it’s related to dropsy then the chance of your betta surviving are very low. The main way swim bladder disease becomes fatal is due to the injuries your betta may sustain. If your betta has trouble swimming away from the surface some of his skin may be constantly exposed. This exposure will cause ulcerations, sores, and infections to occur when the slime coat on your bettas scale starts to dry out. The same thing will happen if your betta can’t swim off the substrate. The constant scraping against gravel or sand will begin to remove your bettas stress coat as well. Is Swim Bladder Disease Contagious? Once again this depends on what the cause behind it is. If your betta has swim bladder disease because of constipation or overfeeding then obviously that isn’t contagious. However, if you’re overfeeding your betta then you may be overfeeding other fish as well which might result in other fish suffering from it. If swim bladder disease is caused by parasites or bacteria then it’s more likely that it can spread through the water and infect other fish if they have weakened immune systems. But this is because the organisms are already in the tank with your betta. If your other fish have strong immune systems then the chances of them getting swim bladder disease are slim too! 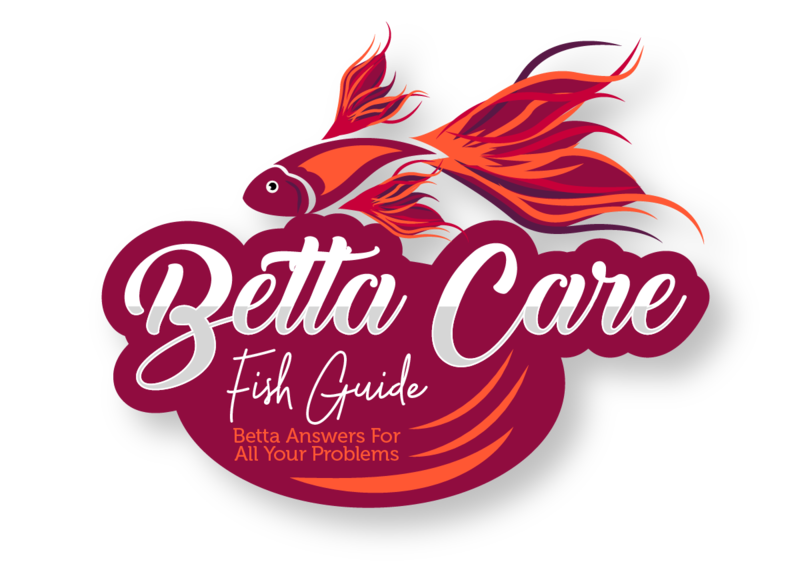 You should know all the vital information you need to help your betta recover after suffering from swim bladder disease. Here are some of the main points to remember. Swim bladder disease has a range of different causes including, shock, injury, infection, constipation and overfeeding. The symptoms include floating at the top or bottom of the tank, unable to stay in one spot without swimming, lopsided swimming, a distended back or bloated belly, loss of appetite, and lethargy. If you think constipation is causing your bettas swim bladder disease then you should fast him for 3 days, after 3 days feed him cooked deskinned peas. If you think it’s due to infection then you’re going to need to use the appropriate medication. And lastly, if you think it’s due to stress or injury there’s nothing you can do except be patient. You can also try and Epsom bath if your betta is suffering from constipation related swim bladder disease. Some of the ways to prevent swim bladder disease in bettas is too make sure you’re not overfeeding them, keeping the tank water clean, and helping them avoid injuries. Swim bladder disease isn’t normally fatal when it’s due to constipation but it can be in other cases. And lastly, swim bladder disease isn’t contagious but if it’s related to water quality issues then there’s a chance other fish will get it as well. Dropsy In Bettas – Does your betta have pineconing scales as well as swim bladder disease? If so, then he’s suffering from dropsy. If this is the case then you need to act immediately! Fin Rot In Bettas – Fin rot is a common disease bettas catch. If your betta has fin rot then you should treat it ASAP. So many people have lost their bettas by not treating fin rot quickly enough. Cloudy Eye In Bettas – Cloudy eye is a lot more harmless than other illnesses. But it’s normally an indicator of bigger issues. Find out what causes cloudy eye and how to treat it. Popeye In Bettas – Popeye is a lot more serious than cloudy eye. In fact, if you don’t treat it quick enough it can cause vision loss in your betta. Ich In Bettas – Ich is a parasite that causes white spots over your betta’s body. When they have ich their immune system weakens. If left unchecked it will become fatal, so find out how to cure it here! Velvet In Bettas – Velvet is similar to ich because it’s a skin parasite. However, it’s not uncommon for velvet to infect and attack gills as well. If you want to keep your betta alive, find out how to treat velvet.